Are they cinema's worst bad girls? 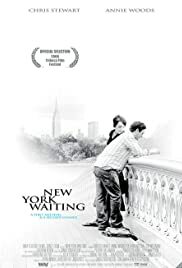 I saw a screening of New York Waiting at the Tribeca Film Festival, and I was completely captivated by the film. Director Joachim Hedén tells a romantic love story absent of cliché plot turns typically found in American films. His characters are charming, his story poetic, and as an audience we're given the opportunity to respond emotionally to his film without being manipulated into a prescribed reaction. He uses the camera with conscious restraint and places a strong emphasis on dialogue, reminiscent of Richard Linklater's Before Sunset. Hedén's choice of music adds a wonderful texture to the film, and I hope that New York Waiting is picked up by a distributor and shown to larger audiences. Many people should see this lovely film. Bravo and well done.